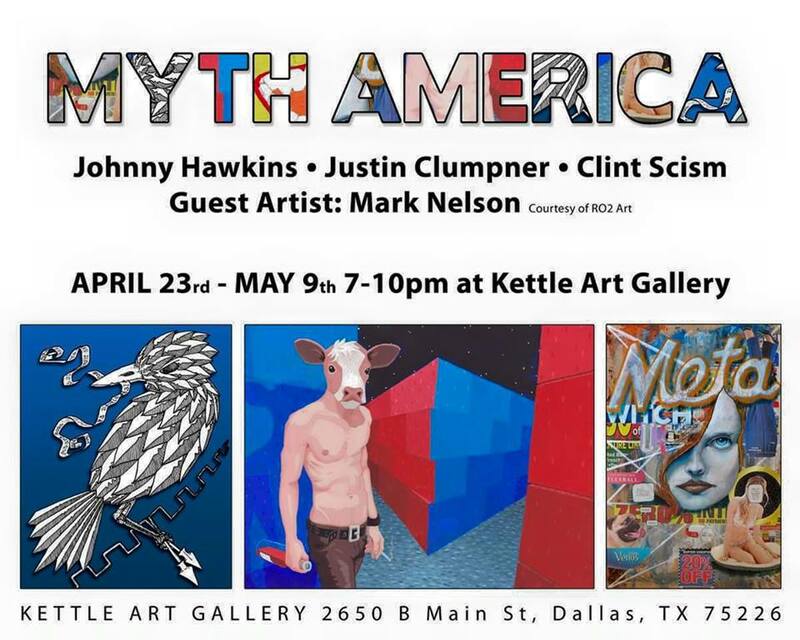 Kettle Art proudly presents ‘Myth America’, a four man show featuring new works by Clint Scism, Justin Clumpner, Johnny Hawkins and special guest Mark S. Nelson. This show explores mythology & legend as interpreted by four American artists, with diverse livelihoods ranging from programmer to teacher, from graphic designer to visual artist. Open reception: Thursday, April 23, 7:00 – 10:00PM. Runs through: Saturday May 9. Admission is free and is open to the public.